www.searchingforreason.net : WHAT A SHAME. TELEVISION: HOW DO I KNOW IF IT IS WORTH MY TIME? PT 3. WHAT A SHAME. TELEVISION: HOW DO I KNOW IF IT IS WORTH MY TIME? PT 3. Let us Examine the Two Statements that are from the first example in PART 2. "MOST UFO SIGHTINGS ARE SPACESHIPS, PILOTED BY BEINGS FROM OTHER PLANETS." "WITNESSES HAVE SEEN UFOS TRAVELING AT SPEEDS, AND MANEUVERING IN WAYS THAT NO MAN MADE AIRCRAFT COULD, GIVEN OUR PRESENT TECHNOLOGY. THEREFORE, THESE UFOS ARE FROM OTHER WORLDS." To begin with, both of these Statements are Completely Subjective, and without Ways to Test or Verify Either, are Scientifically Valueless. The SCIENTIFIC METHOD, THROUGH A PROCESS OF CRITICAL THINKING WHICH OBEYS THE RULES OF LOGIC, CANNOT PROPERLY EVALUATE "EVIDENCE" THAT CONTAINS NOTHING TO SUBSTANTIATE THE CLAIMS BEING MADE. "MOST UFO SIGHTINGS ARE TIME SHIPS, PILOTED BY HUMAN BEINGS FROM THE EARTHS DISTANT FUTURE." The Second Statement is no more "TRUE" OR "FALSE" THAN THE FIRST. FOR EITHER OPINION TO BE ARGUED AS THE CORRECT ONE IS MISSING THE POINT. NEITHER CAN PASS AS A PROPER "THEORY," BECAUSE THEY DO NOT MEET THE MINIMUM REQUIREMENTS OF SUCH. FOR SOME REASON, (Perhaps it is the lack of CRITICAL THINKING SKILLS), SOME HEAR STATEMENTS LIKE THESE IN THE MEDIA, AND ACCEPT THEM AS BELIEVABLE OR PLAUSIBLE. Yet, AT BEST, THEY ARE NOTHING MORE THAN WISHFUL THINKING ON THE PART OF THE INDIVIDUALS MAKING SUCH CLAIMS, WHO ARE GIVEN A PLATFORM FOR NO OTHER REASON THAN THE HOPE THAT IT WILL INCREASE RATINGS. 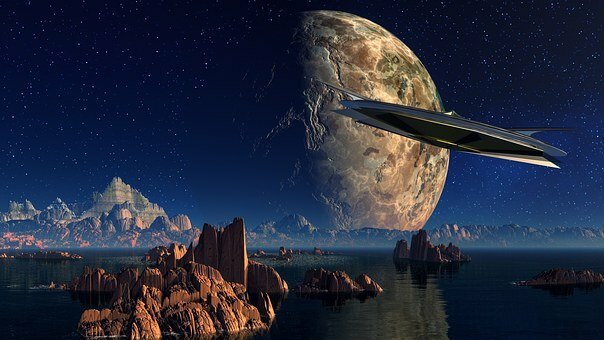 Now you may Think That a PARTICULAR BELIEF ABOUT UFOS, SUCH AS THEIR ORIGIN AND CAPABILITIES, DON'T REALLY HARM ANYONE. WHO IS THE VICTIM, AND WHY SHOULD WE CARE? THE PROBLEM EXISTS WHEN YOU ALLOW THAT LINE OF REASONING TO BE APPLIED TO OTHER BRANCHES OF SCIENCE, AND JUST AS DAMAGING, OUR POLITICAL AND CRIMINAL JUSTICE SYSTEMS.